While processing the records from the Office of the Dean from the tenure of George Packer Berry, Center staff came across images, below, of Richard Warren in the Warren Anatomical Museum. The images were taken as a part of the Program for Harvard Medicine, a fundraising initiative undertaken in the early 1960s. 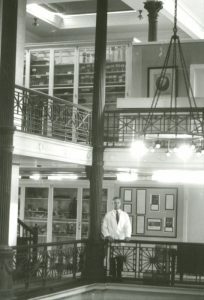 Given this time period, the images show the Warren Museum both as it was nearing the end of its primarily exhibition function at Harvard Medical School, and before repeated reductions in space allotment narrowed the museum from its original space in the top three floors of Building A (now Gordon Hall). 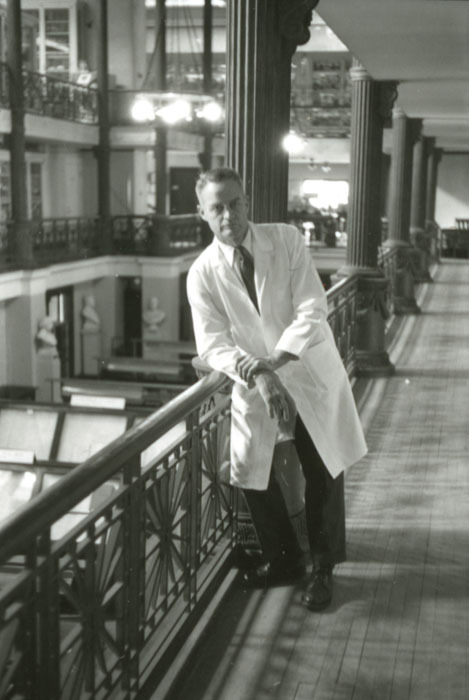 Richard Warren (1907-1999), M.D., 1934, Harvard Medical School, was a Professor of Surgery at Harvard Medical School, specializing in cardiovascular and gastrointestinal disorders. He was a nephew of John Warren (1874-1928), a professor in the Anatomy Department at Harvard Medical School. Other ancestors include John Warren (1753-1815), Revolutionary War surgeon and a founder of Harvard Medical School, and John Collins Warren (1778-1856), Hersey Professor of Anatomy and Surgery and Dean of Harvard Medical School, whose personal collection of anatomical specimens, along with an endowment of $5,000 in railroad stock, helped establish the Warren Anatomical Museum. Richard Warren donated books, manuscripts, and artifacts from his family to the Boston Medical Library and Harvard Medical School. After retiring from medicine, Warren pursued the study of conifers at Harvard University’s Arnold Arboretum, which houses records related to his work. 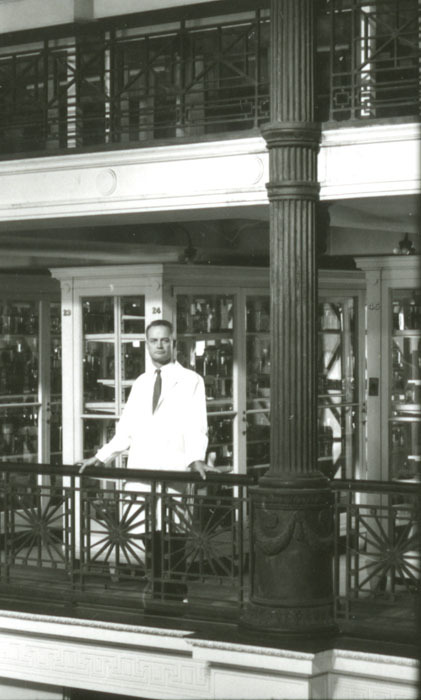 The finding aid for the Office of the Dean of Harvard Medical School can be found here. 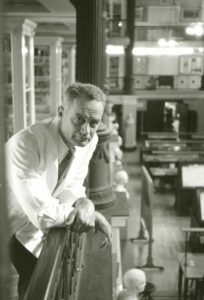 The finding aid for the Warren Anatomical Museum records can be found here. The Center for the History of Medicine also holds the Richard Warren papers. The Center for the History of Medicine hosted forty students and seven teachers from six area high schools on November 28th for a half-day “Colloquium on Phineas Gage: A Scientific Inquiry.” The AP Psychology and AP Biology students came from schools across eastern Massachusetts and included Medford High School, Burlington High School, John D. O’Bryant School of Mathematics and Science, Arlington High School, Braintree High School, and Dedham High School. The program was developed and organized by Medford High School AP Psychology teacher Nancy Donlon and was generously supported by the Medford Educational Foundation. Director Scott Podolsky, MD and Warren Museum curator Dominic Hall participated from the Center. 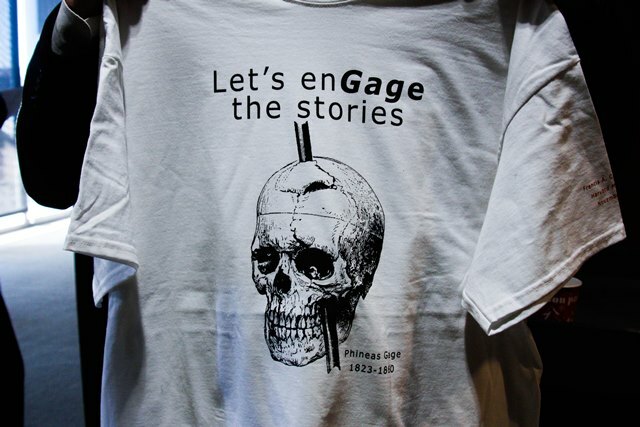 Phineas Gage colloquium t-shirt. Courtesy of Kaitlin Donlon. understanding of the human brain. Harvard Medical School associate professor and Massachusetts General Hospital neurosurgeon Frederick Barker, MD placed the Gage narrative within the 19th-century debates surrounding neuroscience and the rejection and adoption of cerebral localization. Independent scholar Matthew L. Lena discussed the problematic fictions that have been tied to Phineas Gage’s patient history and how one integral case study can inform, support or hinder modern medical practice. The panel concluded with associate director of The Clay Center for Young Healthy Minds at Massachusetts General Hospital and Harvard Medical School assistant professor Steven Schlozman, MD‘s presentation on the modern understanding of how adolescent and teenage minds hold information and processes emotion through the construction of narratives. The colloquium ended with the students breaking into groups and exploring the content presented from the three panelists and their renewed sense of the Gage narrative. 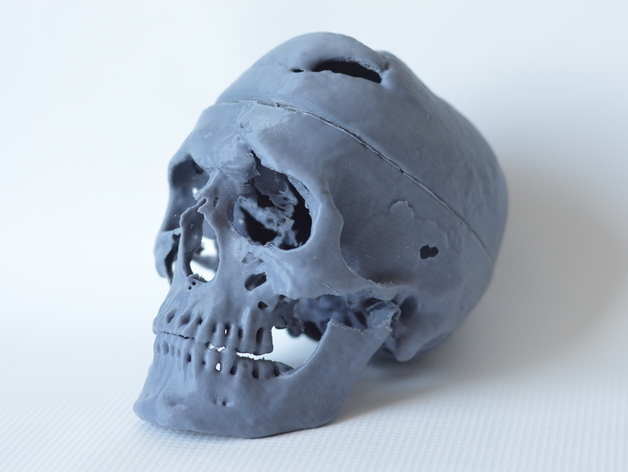 One of the most interesting developments in the renewed teaching capacity and impact of Phineas Gage is the recent establishment of a printable 3D model of well-known patient’s skull. The print file was created by Graham Holt at the Laboratories of Cognitive Neuroscience at Boston Children’s Hospital, and is based on the 2004 thin-slice computed tomography scans of Peter Raitu and Ion-Florin Talos. The file grants a tangible portability to the Gage skull given that the original usually stays safety ensconced in the Warren Museum Exhibit Gallery. Holt’s 3D print had been downloaded 725 times as of October 3rd. The project was featured on the May 5th 3D Printing Today Podcast (segment at 1:02:30). The Warren Anatomical Museum has been using its own version of the Holt print in on-site, hands-on educational programs. 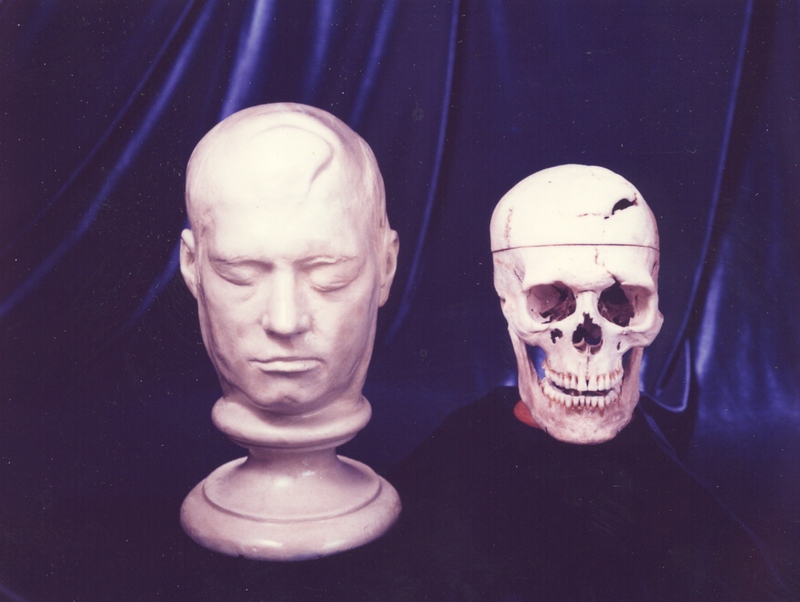 The capacity to print a version of Gage’s skull is an exciting addition to the Gage educational experience. More about the original CT scan is discussed in Ratiu, P., Talos, I. F., Haker, S., Lieberman, D., & Everett, P. (2004). “The tale of Phineas Gage, digitally remastered.” Journal of neurotrauma, 21(5), 637-643. 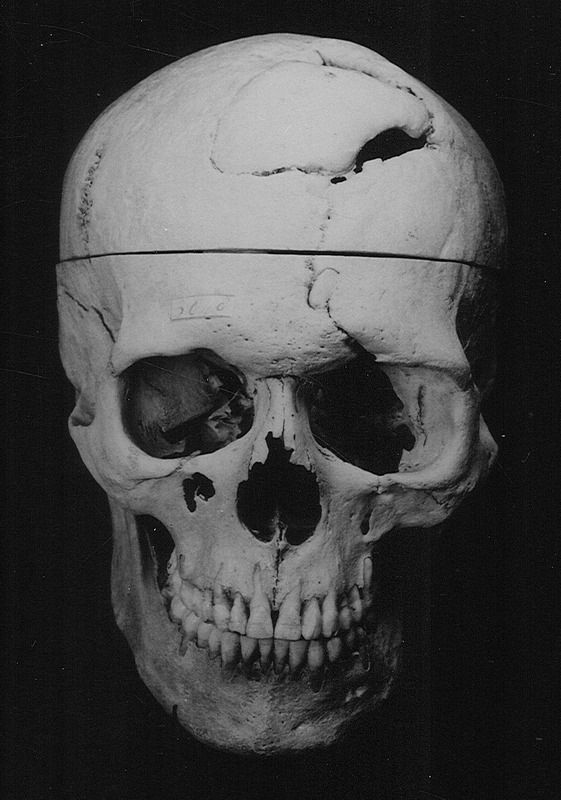 More about the Phineas Gage case in general can be found on Malcolm Macmillan’s Phineas Gage Information Page. On the evening of June 23rd the Center for the History of Medicine will host a set of lectures on the ever-evolving case of Phineas Gage, highlighting new investigations and revisiting important past scholarship. The event is free and open to the public. The evening will also include remarks by Center for the History of Medicine Director Scott Podolsky and Warren Anatomical Museum Curator Dominic Hall. The program will last an hour and fifteen minutes and will conclude with a panel of questions and answers. Refreshments will be served. Registration is required. To register, use our online registration form or email us at ContactChom@hms.harvard.edu. Phineas Gage Event on June 23rd! 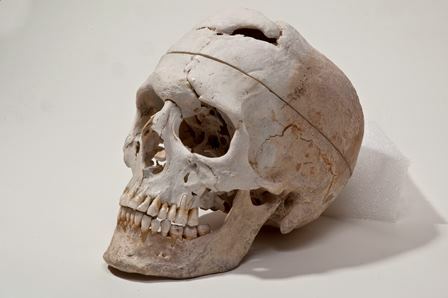 On the evening of June 23rd the Center for the History of Medicine will host a set of lectures on the ever-evolving case of Phineas Gage, highlighting new investigations and revisiting important past scholarship. The event is free and open to the public. The program will last an hour and fifteen minutes and will conclude with a panel of questions and answers. Refreshments will be served. When: Thursday, June 23, 2016. Reception begins at 5:30pm. What: Lecture series on Phineas Gage. Free and open to the public. The skull of Phineas Gage and the tamping iron that caused his well-known injury will be temporarily off-display on October 26, 2015 for an internal filming project. The collection will not be available for viewing from approximately 11:30 am – 5:00 pm on that day. The skull and tamping iron will be back on display by 9:00 am on October 27, 2015. Please contact the Center for the History of Medicine at chm@hms.harvard.edu with any questions. The skull, life cast, and tamping iron of Phineas Gage was featured on the Italian television program Superquark in its recent special on the brain. Superquark visited the Warren Anatomical Museum in October 2013. Also featured in the program is Harvard Medical School Professor of Neurobiology Margaret Livingstone, who commented on the location and extent of Gage’s brain injury. Video of the episode is located on the Superquark website. Gage’s skull and the interview with Dr. Livingstone begins at the 00:38:06 mark. 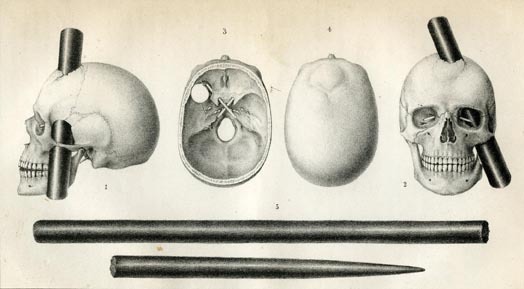 Engraving of Phineas Gage skull and tamping iron, Bigelow, Henry J. “Dr. Harlow’s case of recovery from the passage of an iron bar through the head.” American Journal of the Medical Sciences, n.s. v.20 (July 1850): 13-22. The HarvardX/edX course “Fundamentals of Neuroscience. Part I” (mcb80x), which teaches with select Warren Museum collections, is now open for registration. The course, taught by Harvard University Assistant Professor of Molecular and Cellular Biology David Cox, starts in October 2013. Students can register on the edX website. 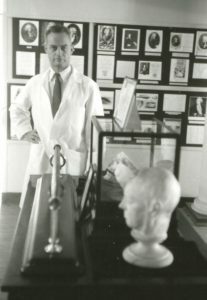 In addition to using the Warren Museum Exhibition Gallery as a backdrop for one lecture, Professor Cox filmed several Warren Museum collections important to the history of neuroscience for MCB80x, specifically the skull, life cast and tamping iron of Phineas Gage and the phrenology cast collection of the Boston Phrenological Society. In both segments Warren Museum curator Dominic Hall added commentary on the objects and their origins. An image of the skull of Phineas Gage is featured on the course’s website, Facebook page, and Instagram account. 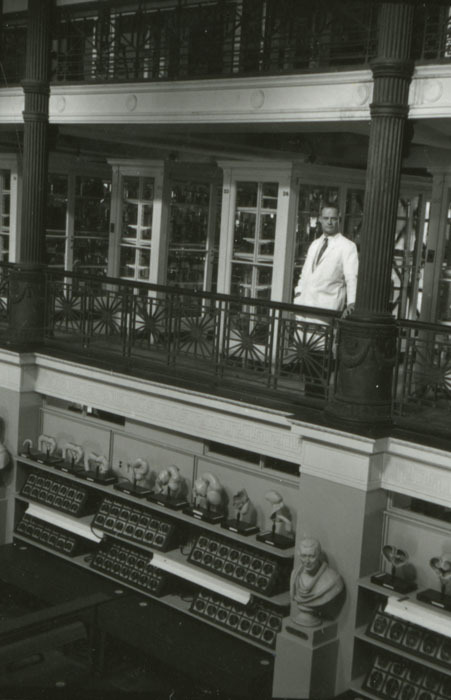 The Warren Anatomical Museum has completed a significant stage in its overall collection inventory project, the cataloging of the Museum’s historical osteology collection. The majority of the Museum’s anatomical collection is human osteology from the 19th century and in the fall of 2010 the Warren and the Center for the History of Medicine designed an intensive project to describe, research, and catalog these holdings. The Museum is now in the early stages of planning to broaden the access to these collections for the benefit of future medical and historical researchers. Some project outcomes have already appeared in the scientific literature. A recent article in PLOS ONE, “Mapping Connectivity Damage in the Case of Phineas Gage,” utilized data derived from new descriptions of Gage’s skull, specifically the uncompromised condition of his left zygomatic arch and the antemortem loss of a back left molar. 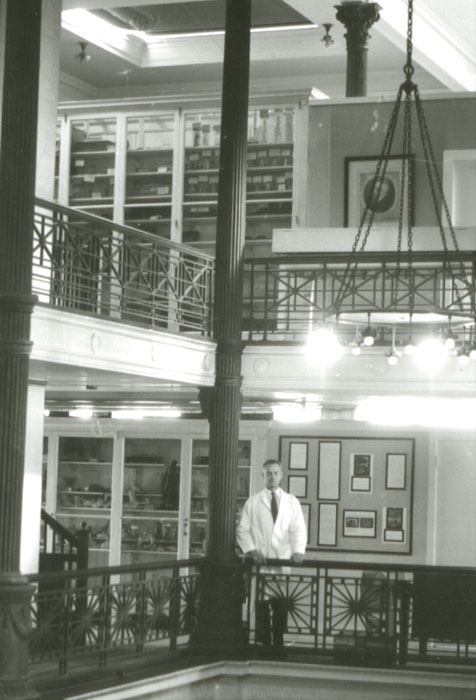 Project research has also unlocked medical cases from their archival record, like case Warren Museum 03679. 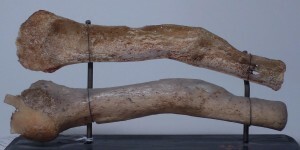 This section of humerus was surgically removed from an artillerist in the Civil War. The amputation proved to be an early surviving case of “phantom limb” or neuraligia, as the section was removed to treat pain felt in the hand and fingers lost in combat. 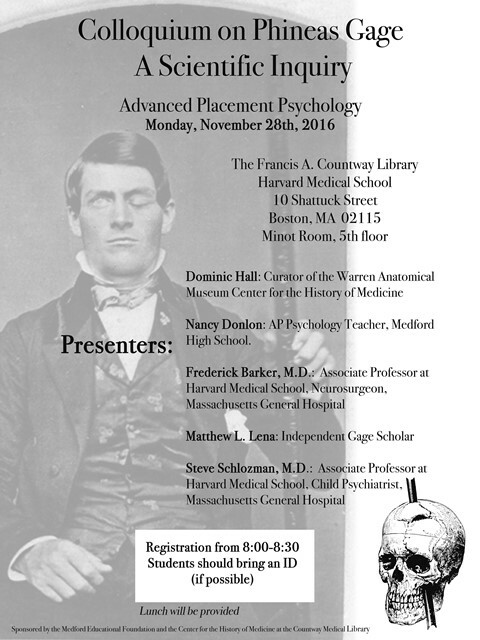 Questions regarding the project can be directed to the Warren Museum and the Center for the History of Medicine at chm@hms.harvard.edu.